The former deputy chair of UKIP has accused the party of going down a "rabid anti-Islam path". Suzanne Evans resigned from her role at UKIP this week, citing the appointment of activist Tommy Robinson as personal adviser to party leader Gerard Batten as a key reason for her departure. Appearing on the breakfast show, Ms Evans said she had begun to see UKIP head in a "direction that was vehemently anti-Islam". "I think the writing has been on the wall for quite some time. It's a decision I have been mulling over for a few months since Gerard Batten took over the party as leader and started to steer it in a direction that was veherently anti-Islam as a whole," she told Julia Hartley-Brewer. 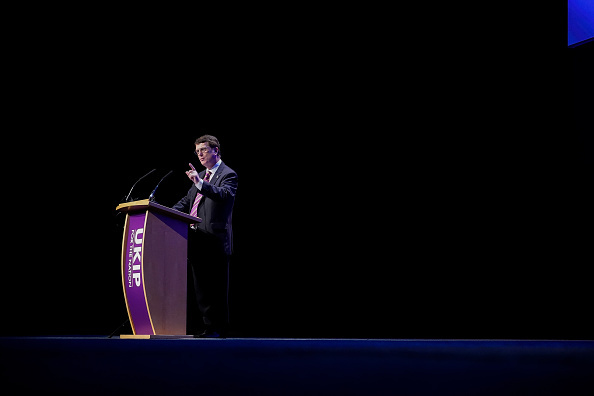 "UKIP has a constittution of which I was always very proud which said if people had been a member of the BNP or EDL - or any other really quite nasty poltical movement like that - then we would not allow them to become members, but Gerard was pushing membership for this man who has been a member of one and founded the other, who has a very long criminal record and is a person who I think is an unhealthy influence in society." The former deputy chair added that she was opposed to the "rise of Sharia courts", "rising FGM" and "lack of integration of some Muslim extremists", but felt that the party's approach to these issues under Batten's leadership was "not the way I wanted to go at all". Ms Evans also claimed that there had been a "takeover" of the party, orchestrated by Tommy Robinson, a.k.a Stephen Yaxley-Lennon. "Tommy Robinson has for some time now been actively encouraging people to join UKIP in order to launch a takeover from within," she said. "Since Gerard Batten became leader, I gather we've got something like 8,000 new members, so I think that attempt has been quite successful. "I think even if Nigel Farage tried to come back, I'm not sure he would be able to beat Gerard in a leadership fight."